1. Pallas trine South Node. 2. Venus squine South Node and quintile Neptune. 5. 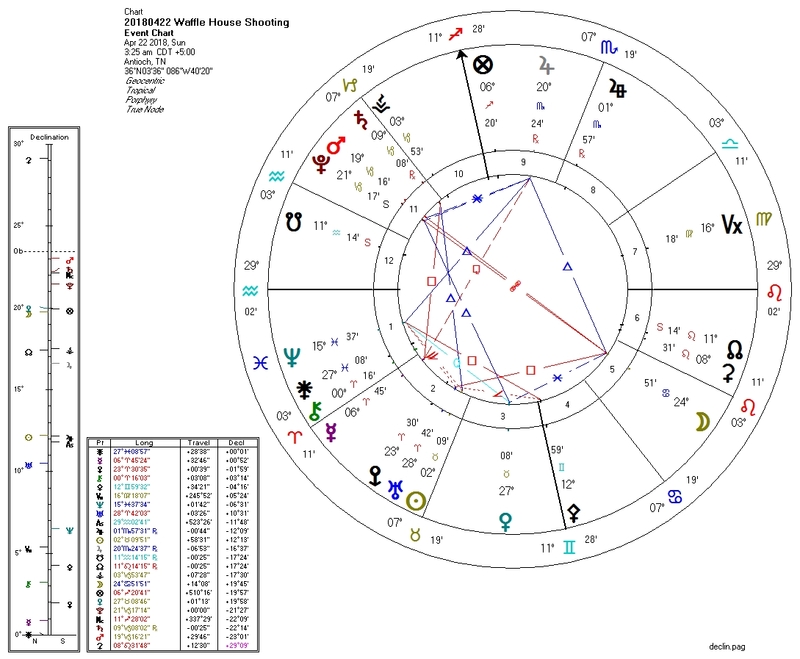 Pluto trine Venus, ruler of Sun. This event is unusual in that it does not carry a clear Pallas-Pluto aspect. AnonymousApril 23, 2018 at 5:33 AM travis "terminator"reinking. inspired by the movie? how hard is it to find a guy running around with his... ReplyDelete AnonymousApril 23, 2018 at 10:04 AM born dec 23 1989 Morton Illinois likes Chinese food!